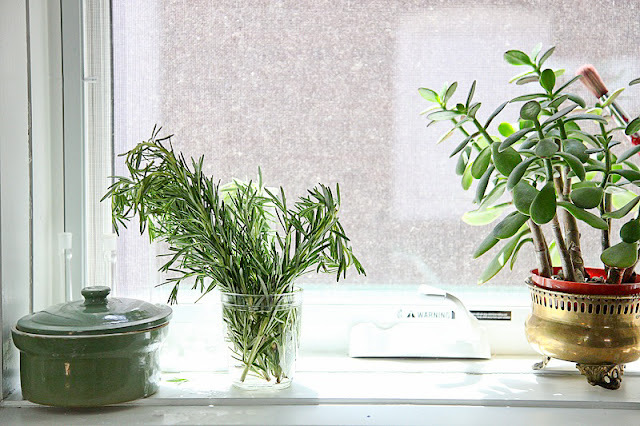 This morning*, I bought rosemary to marinate some chicken, instead of putting it in the crisper, I put it on my windowsill...just like cup of jo! *Ordered this week's groceries from grocery gateway, using a $10 off coupon (they send coupons from time-to-time to keep you coming back! Guess what - it works!). update: the reason you dont do this, is that the herbs droop after one day! Love the blown out photos with the green rosemary. 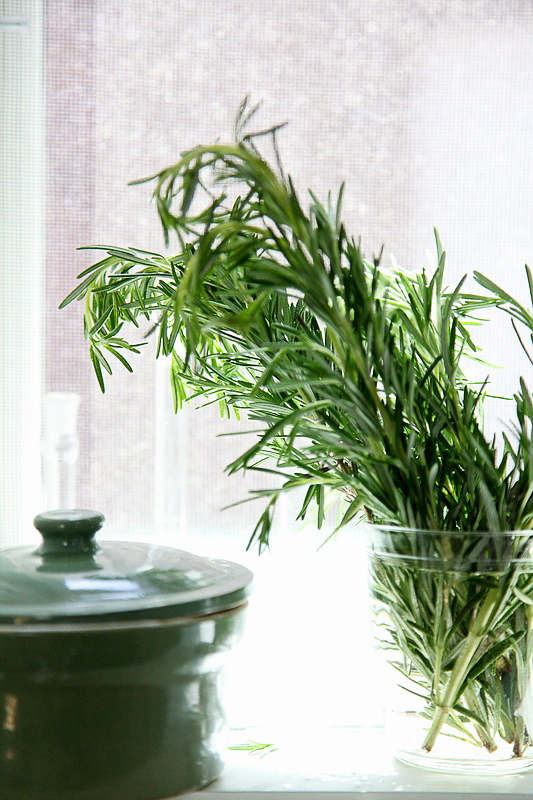 oooh...love rosemary...we are growing some but I think my husband wants a rosemary BUSH. will let you know how that goes. currently, it's a sprig. I had rosemary on the brain too yesterday and did the exact same thing (without even seeing your post or Cup of Jo's). It smells glorious! A friend came over and used it to cook pork chops for us...so convenient to have fresh herbs around.